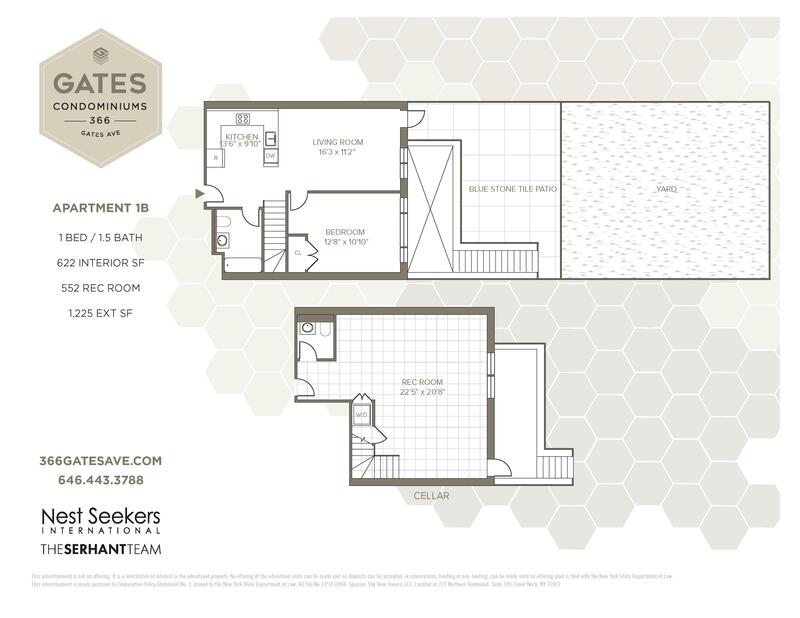 Unit 1B at 366 Gates Ave is an oversized duplex one-bed condo with just under 1200sqft of living space and a 1225sqft private backyard. 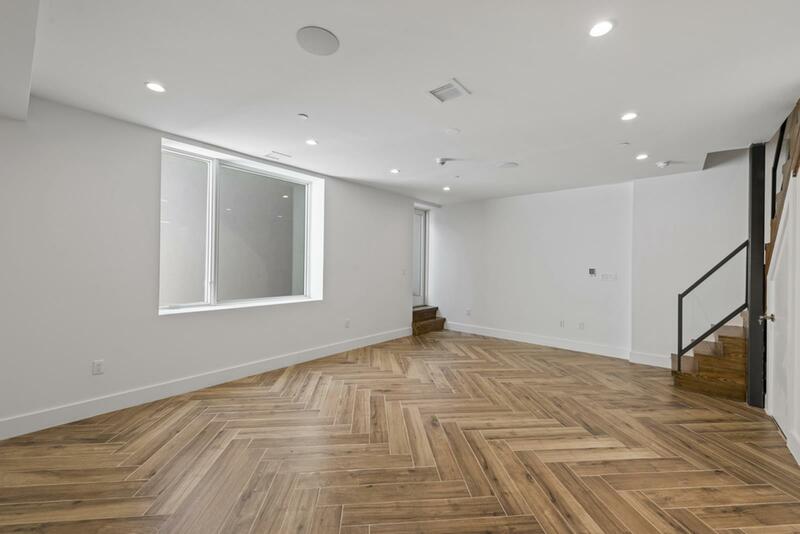 Situated in a prime area of Bedford- Stuyvesant, the unit offers a luxurious blend of elegant finishes and natural light. 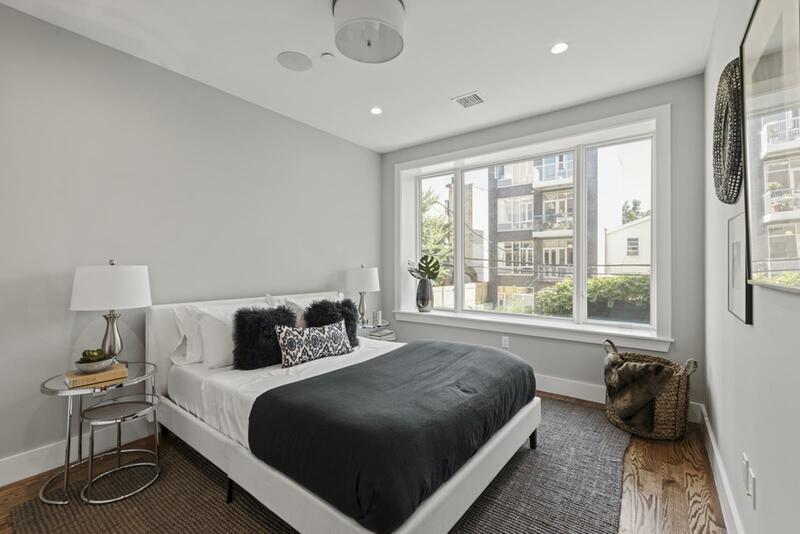 Features include gorgeous white oak hardwood floors, radiant heated floors in the recroom, central heating and cooling, a vented W/D hook-up, a video intercom system, airy ceilings, and fully integrated surround-sound speakers that can be controlled via smartphone or the installed Launchport system. 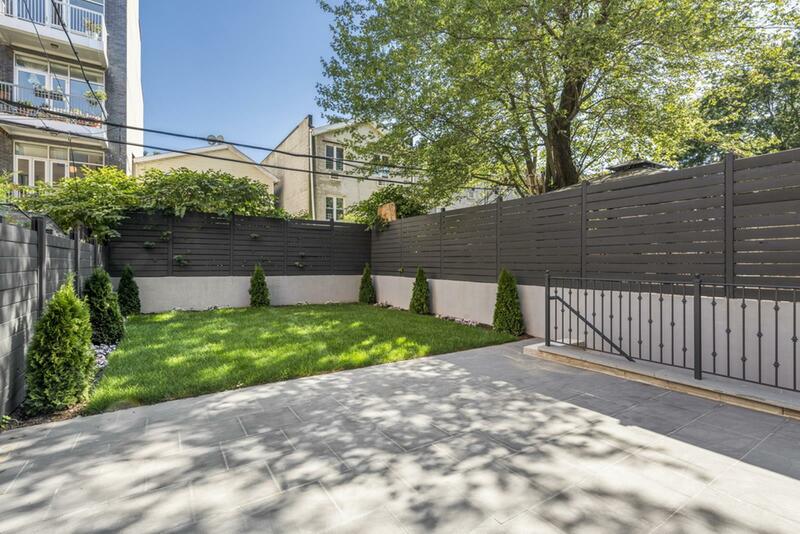 The landscaped backyard is a must see with a bluestone patio and real grass! Multiple options for live and work space spread out over two floors. The recroom offers abundant space for a home office, art/ music studio with a private entrance and a half bath. 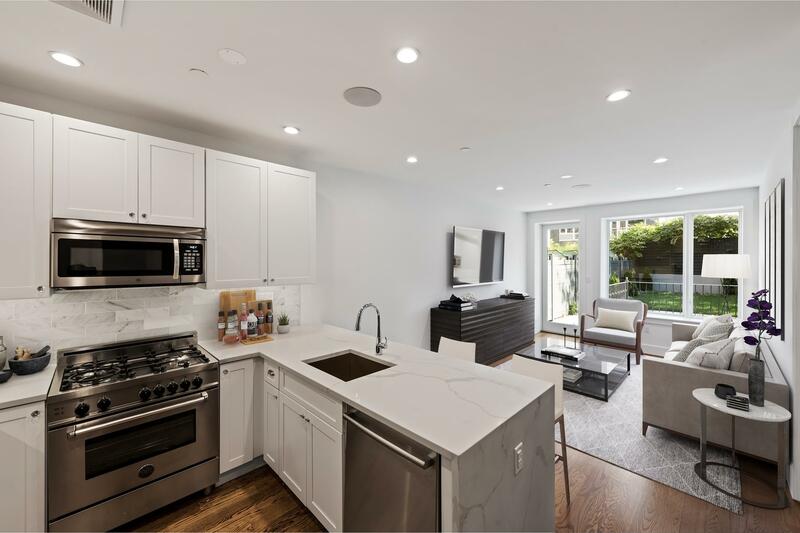 The kitchen is equipped with sleek white countertops, marble tile backsplash, self-closing white shaker cabinets and drawers, and a high-end appliance package that includes a Bertazzoni range, Bosch dishwasher, and full-sized Blomberg fridge. 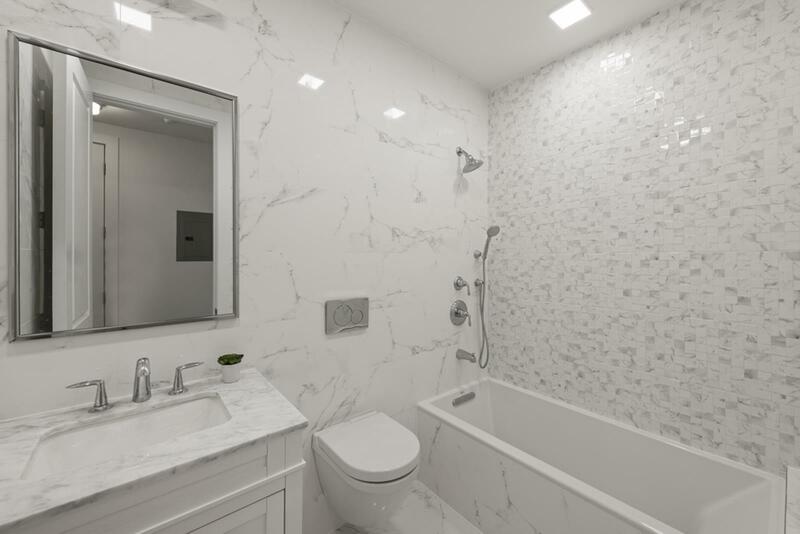 The bathroom possesses radiant heated flooring, Carrara Porcelanosa tile, deep soaking Kohler tub with dual Kohler fixtures, and a Duravit wall mounted toilet. 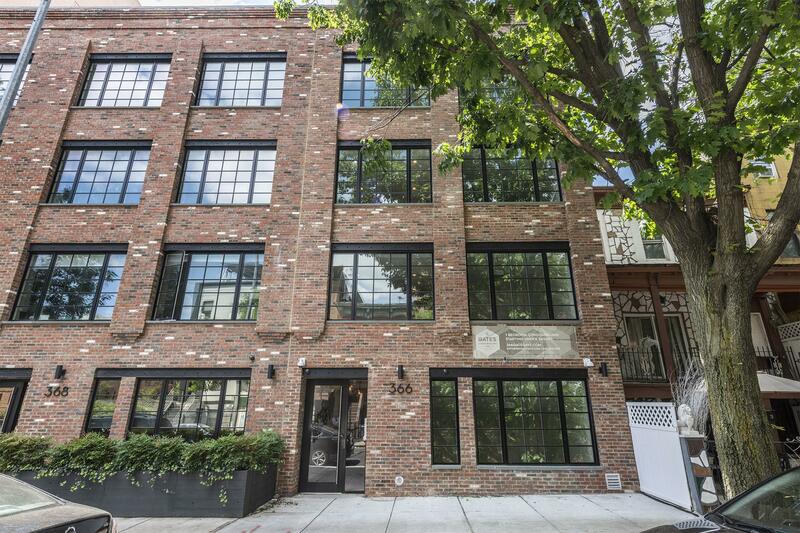 366 Gates Ave is an eight-unit boutique condominium nestled between the trendy strips of Bedford and Nostrand Avenues. The building is surrounded by a multitude of restaurants, cafes, and bars, and a few short blocks from the express A/C train on Fulton Street and the G train on Lafayette Avenue. Several Citi Bike stations are also close by. The building features a large shared common roof deck with Manhattan views. The complete offering terms are in an offering plan available from the sponsor, File No. CD18-0133.